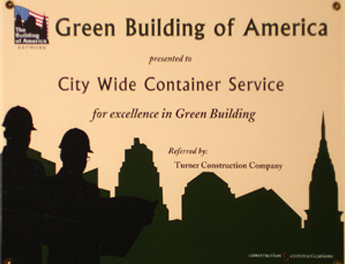 Monday - Friday, 6:00 a.m. - 4:30 p.m.
Saturday, 7:00 a.m. - 12:00 p.m.
CityWide Container Service and Cooper Tank Recycling are members of the United States Green Building Council, and we are both committed to its principles. We have partnered in a combined committed effort to impact our environment in a positive way – today and for future generations. Our hopes are for all to enjoy a healthy living environment. We have proven our capabilities by our participation in the creation of an increased number of green buildings. We can assist your company in complying with your LEED requirements for recycling waste generated during construction of green buildings. We intend to implement the construction debris recycling process by ensuring that whatever debris is collected is reutilized in the manufacturing process. We redirect reusable material to appropriate sites, resulting in a diversion of construction debris from landfill disposal. Cooper Tank Recycling – with a recently installed, state-of-the-art separation and screening system – is committed to ensuring that all recyclable construction debris is directed towards this goal of recycling for reuse. We feel that our actions speak to our core values of affecting our environment in a positive way. Learn more and see a comprehensive list of our projects. 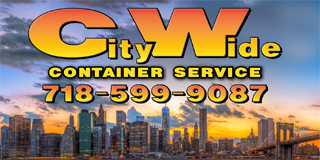 CityWide Container Service was founded in 1994 on the premise of providing superior construction container service that was tailored to meet our client's individual needs. To this day, our hands-on operational style ensures customer satisfaction with safe, reliable service and efficiencies that will make sure that we meet your bottom line. We attribute our longevity and success to the governmental agencies, prestigious developers, builders, contractors, and private individuals that have entrusted us with their projects – many of which have received distinguished awards. We are proud to have been at the forefront of developing and providing LEED documentation and waste management reports to help our clients meet the needs of their LEED certified projects. 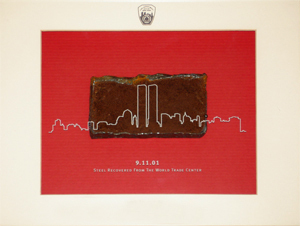 We rely on our reputation to ensure our continued growth, and we pride ourselves on our unblemished record. CityWide Container Service has never failed to finish a project. We are a group of individuals with the common goal of striving to surpass our client's expectations with each project. We will do whatever it takes to distinguish ourselves from the competition.